What’s the easiest way to feed a ravenously hungry fourteen-person reunion in San Diego? Korean barbecue, of course! 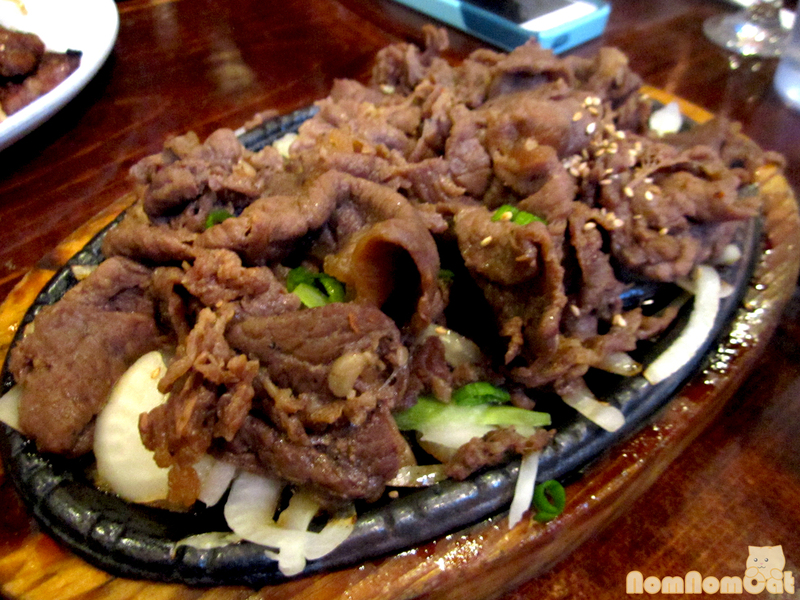 According to our local friends, Convoy Street is where all the good Asian food can be found, and this Korean barbecue joint is just one of many great eats in the area. Though Min Sok Chon is not all-you-can-eat, the a la carte orders are large and great for sharing among friends. 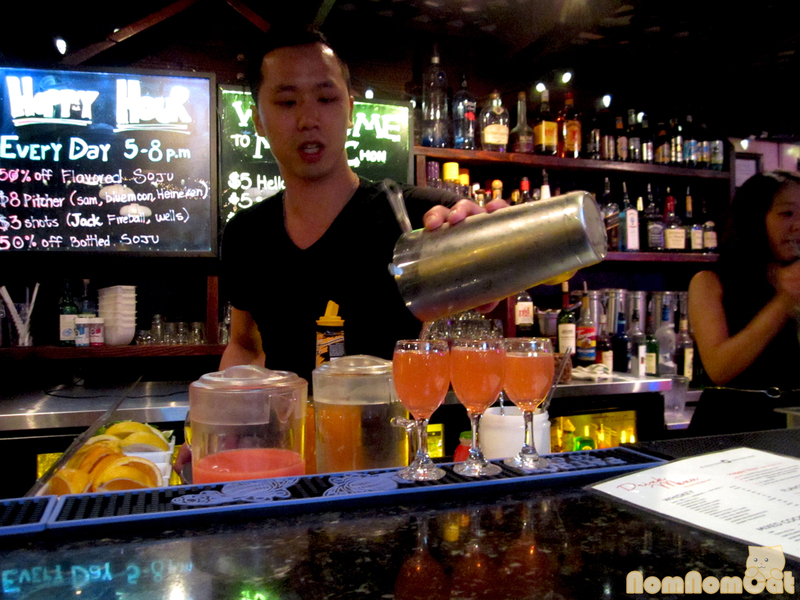 Bonus – since we were eating an early dinner, we got to take advantage of the Happy Hour pricing on cocktails and soju. Score! Party Time at Min Sok Chon! Our party was seated at a long table, so we thought it would be best to pick out a few crowd-pleasing dishes and order a set of everything for each segment of the table. Luckily, I was near the decision-makers so I got to squeeze in a few requests (and luckier still, everyone seemed to enjoy the food). We had barely placed our food order when about half the table got up to order drinks at the bar. 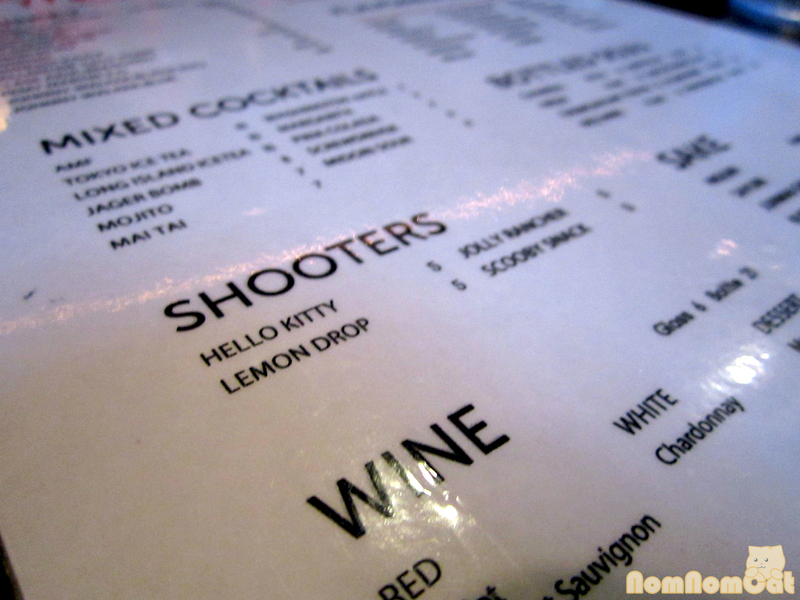 I spotted a very distinct Shooter on the cocktails menu that I wanted to try — The Hello Kitty. A splash of vodka topped off with watermelon soju, this adorably pink elixir was deceptively potent under its sweet and sour notes. 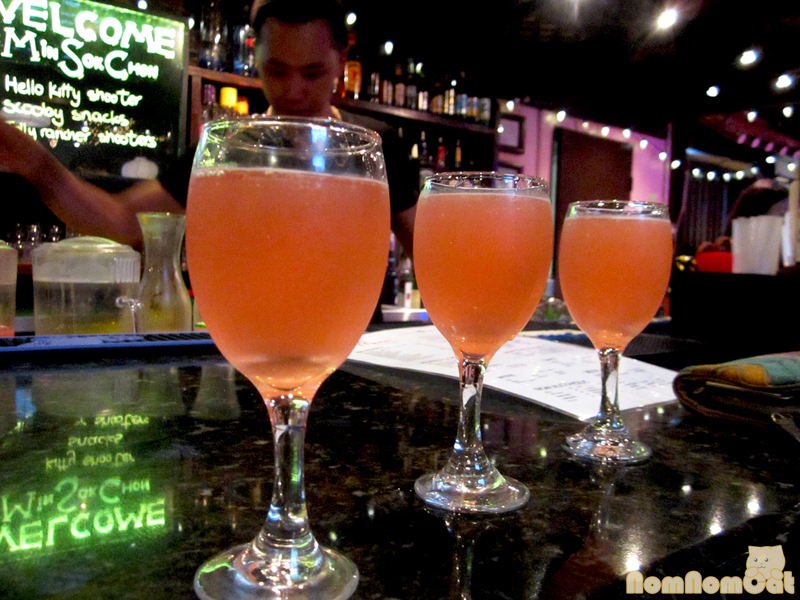 If pink’s not your thing, check out the Scooby Snack or just go for a carafe of flavored soju. Before long, plate after plate of food started to arrive. 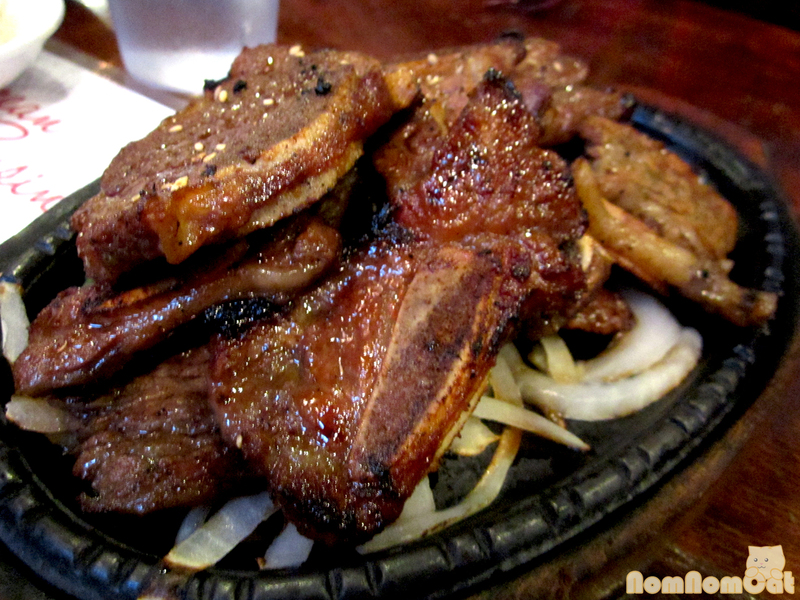 First, the kalbi (galbi). Sweet and salty marinated beef short ribs sizzling on a bed of caramelized onions, kalbi has to be my Korean barbecue meat of choice. The thick slices stay juicy and tender while picking up the wonderful smoky charred essence of the grill. So good. 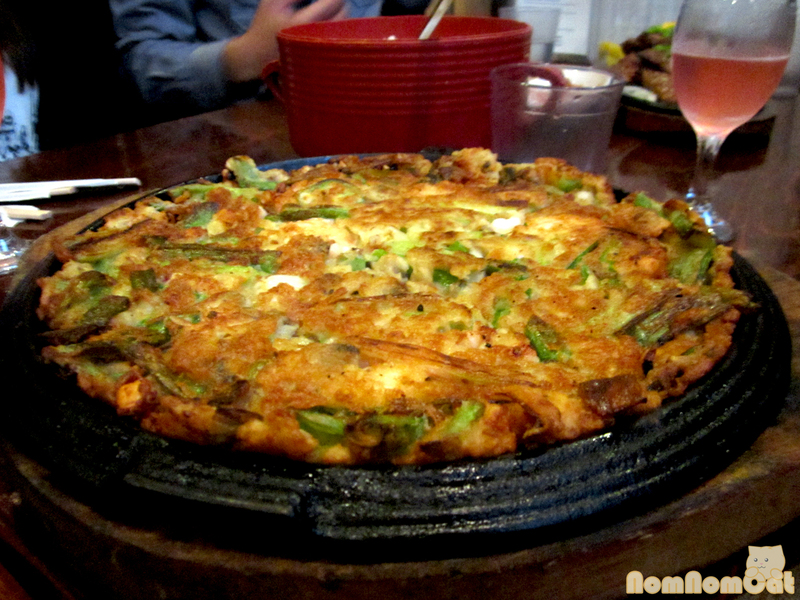 Next up was a particularly comforting Korean dish — seafood pajyun (also romanized as pajun or pajeon; pancake). A flat disc made of scallions, squid legs, shrimp bits, and other goodies strewn throughout a flour & egg batter and pan-fried till crispy. The server cut it into wedges like a pizza and we all dove in. Although originally intended as an appetizer, the third item to arrive was the spicy chicken wings, described on the menu as their best selling dish. 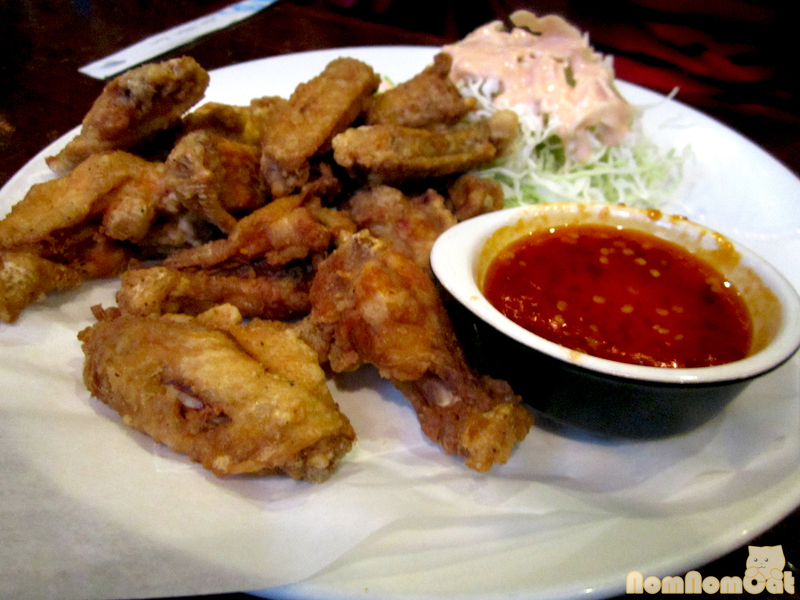 Crunchy Korean-style fried chicken wings served alongside a sweet, sour, and spicy dipping sauce, these wings reminded me of college days when I would walk down to Westwood and grab a box from BBQ (Best of the Best Quality) Chicken off Le Conte. Yummm…. I have a confession to make. I love noodles. I’ll eat any sort of noodles — ramen, udon, soba, somen, rice noodles, glass noodles, egg noodles, pasta, handmade fresh or dried from a package. Any day of the week. So when I go out for Korean barbecue, the first thing I look for on the menu is japchae. 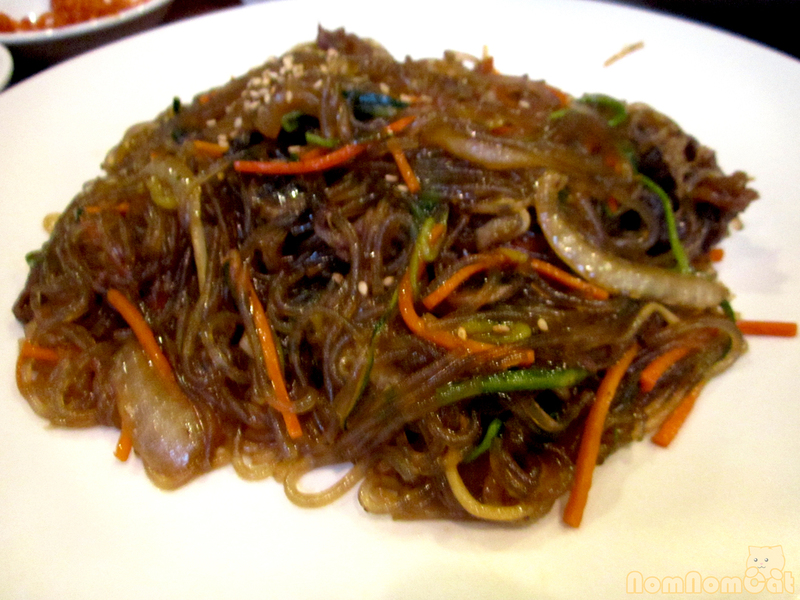 Japchae is one of my all-time favorite Korean dishes. Period. An elegant stir fry made of strips of beef, fine julienne of carrots, long wilted green bits of scallions, sliced white onion and of course, a sweet potato based chewy glass noodle, all tossed in a savory mixture of soy sauce and sesame oil, japchae is a wonderful thing. For the title of this post, I had contemplated making a pun on Tequila Mockingbird (To Kill a Mockingbird… get it, get it? 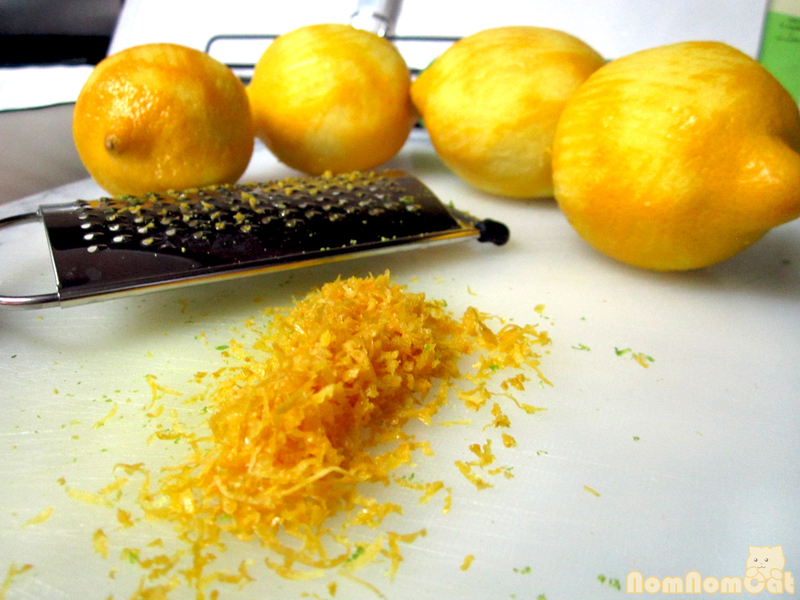 ), but as our primary modification to Ina Garten’s recipe was to add three types of citrus zest, zesty it is! That’s right folks – lime, lemon, and orange zest all play a huge role in making this marinade really sing. That and some good tequila. No need to break out the top shelf Patron or Don Julio – your favorite low-to-mid-tier gold will do. We recommend aiming for a $20-30 bottle; we used Sauza Commemorativo, a gorgeous amber-hued añejo tequila aged 18 months in oak barrels. #1: You really don’t want to skimp on the marinating time, so be sure to plan well in advance! This recipe recommends overnight marination; I managed to get in 24 hours by prepping this meal as I was cooking the night before’s dinner. 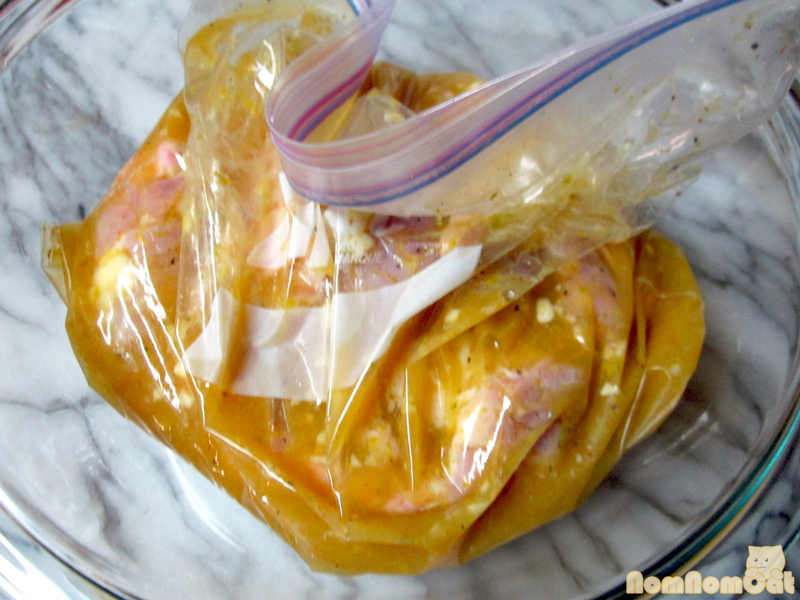 If you do need to multitask a bit, you can marinade frozen chicken pieces so that they defrost and absorb flavor at the same time (thus saving time from waiting for the chicken to thaw first). Again, it must sit at least overnight and if using frozen, be sure to rinse off any ice crystals before dropping the chicken into the marinade. #2: If ever a recipe really depended on a microplane, this would be one of them. Don’t have a microplane? 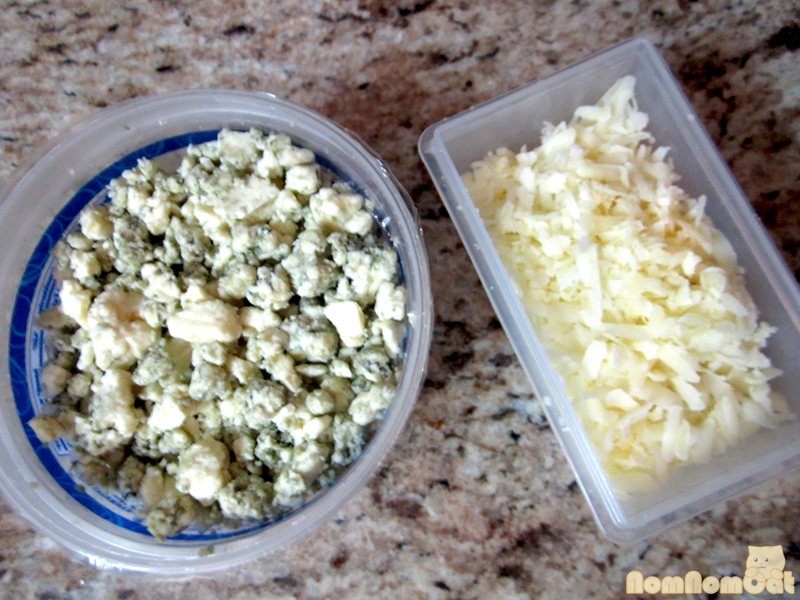 Use the finest side of your box grater. Don’t have a box grater either? Time to get one. Just kidding, sorta. You could skip the zest (Ina Garten did in the original recipe and I’m sure hers comes out just fine), or do it the old fashioned way – take a vegetable peeler and try to get as thin a slice of the peel as possible. Use a paring knife to scrape off or cut away any pith (the bitter white part). 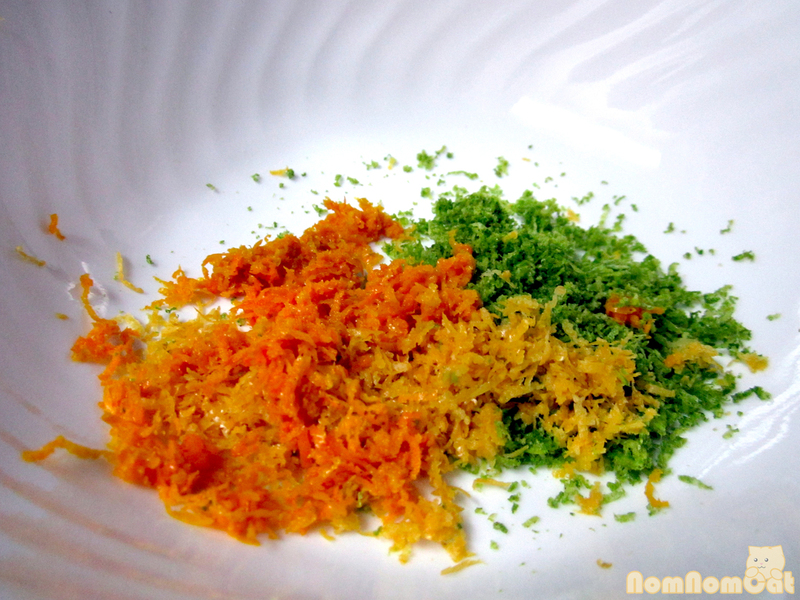 Then just finely mince the peels and voila – zest! #3: I have both grilled and baked these chicken thighs, and I’ve found that both methods are good in their own ways. I like the ease of sticking them in the oven and forgetting about them for 45 minutes, at which time I can serve and eat. Baking would also be a great way to bring back a bit of summer when the weather starts getting too cold for grilling. If you do decide to grill these, about 10-15 minutes per side would be the ballpark. Grilling is a delicate balance between making sure they are sufficiently cooked (165 degree internal temperature) and that they don’t dry out. You may want to make extra marinade to reserve for basting. 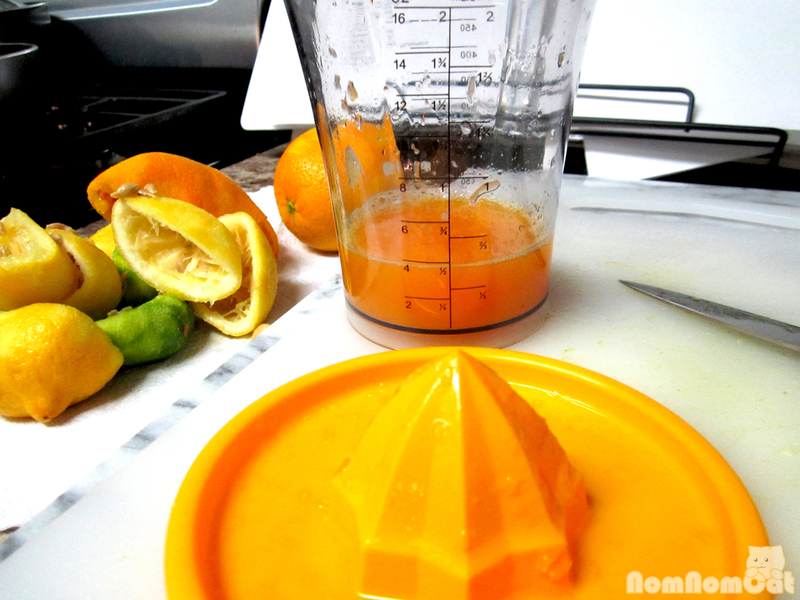 Prep the citrus. I’m a slow zester, so it took me a while to put this marinade together. 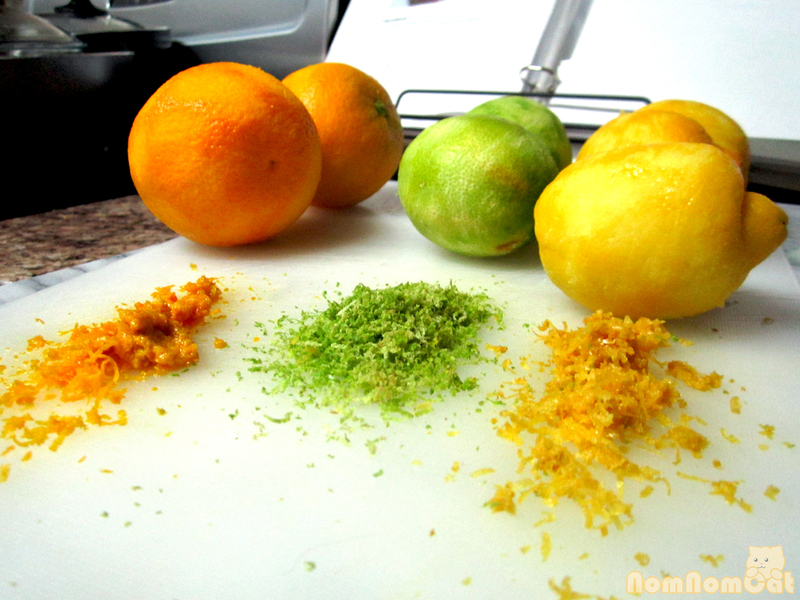 Be prepared – the kitchen is going to smell amazingly fragrant as the peels start to release the aromatic citrus oils. 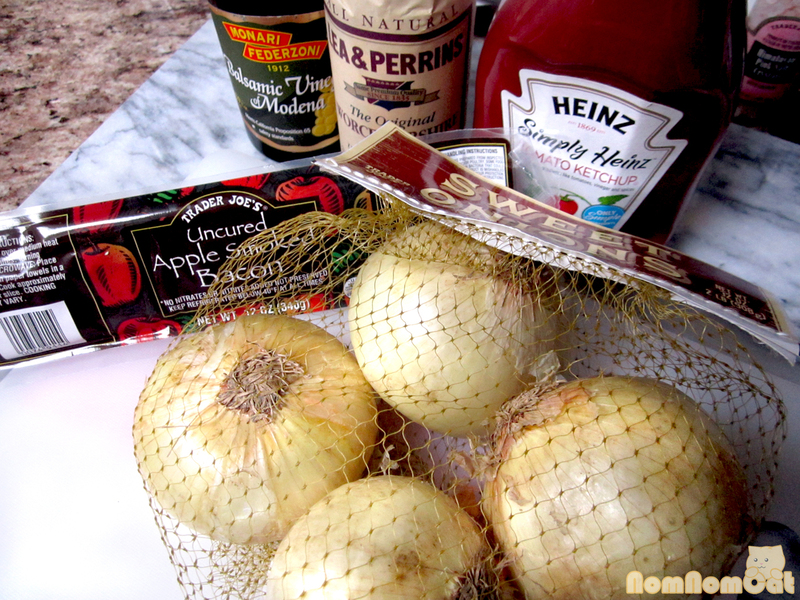 Combine the marinade ingredients. Taste if you dare. It should pack a punch. 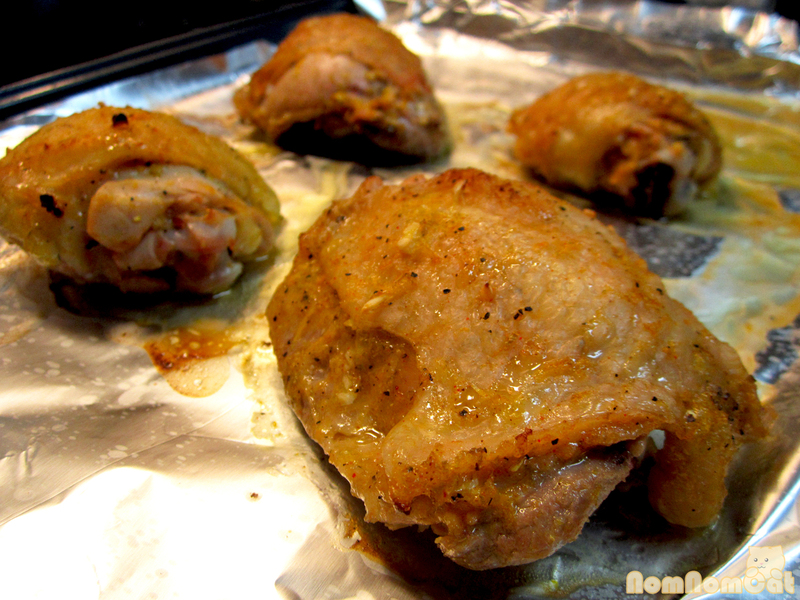 Clean the chicken thighs and place them into a plastic gallon-sized zip-top bag or glass container. 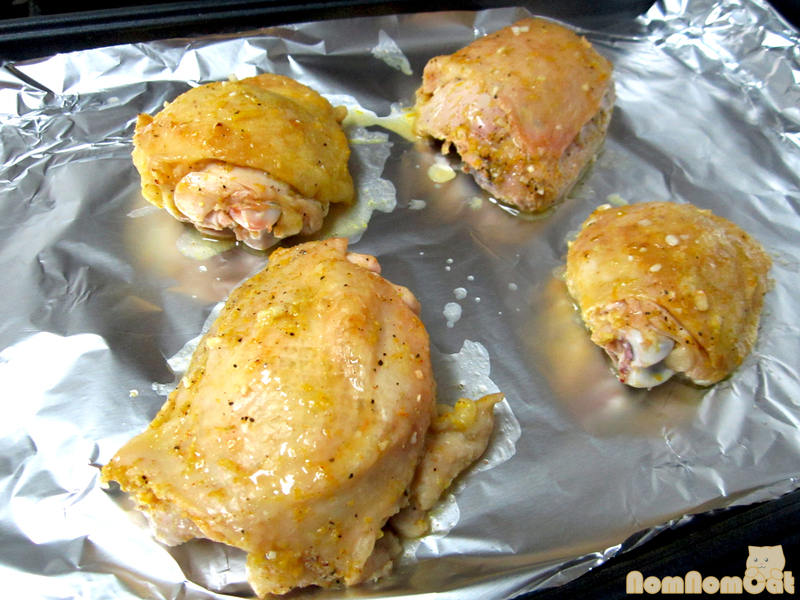 Pour the marinade over the chicken and squish around to get the chicken really coated. If using the zip-top bag, let as much air out as possible to ensure maximum chicken-to-marinade contact. If using a glass container, create an airtight seal using plastic wrap or its lid. Refrigerate overnight. Preheat the oven to 375 degrees or heat up the grill. 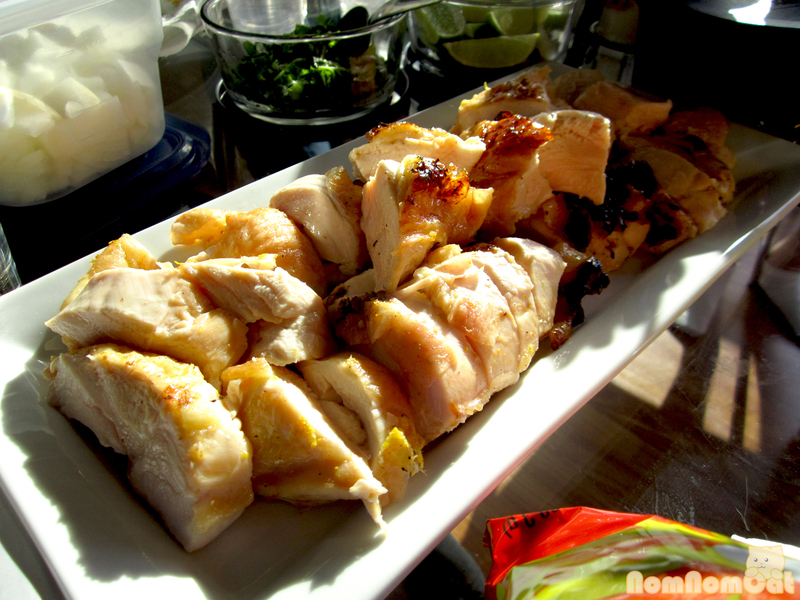 Gently shake the chicken as you remove it from the marinade. Lay on a foil-lined sheet pan for baking at 375 degrees for 45 minutes, or arrange on an oiled grill and cook for 10-15 minutes per side, depending on the size of your pieces of chicken. 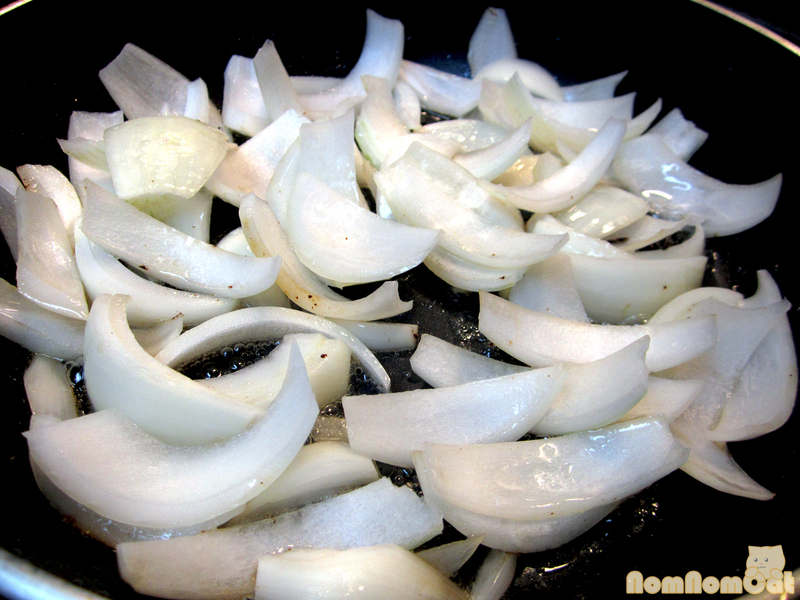 Serve with fresh flour or corn tortillas, salsa, lime wedges, chopped cilantro, and diced onion. 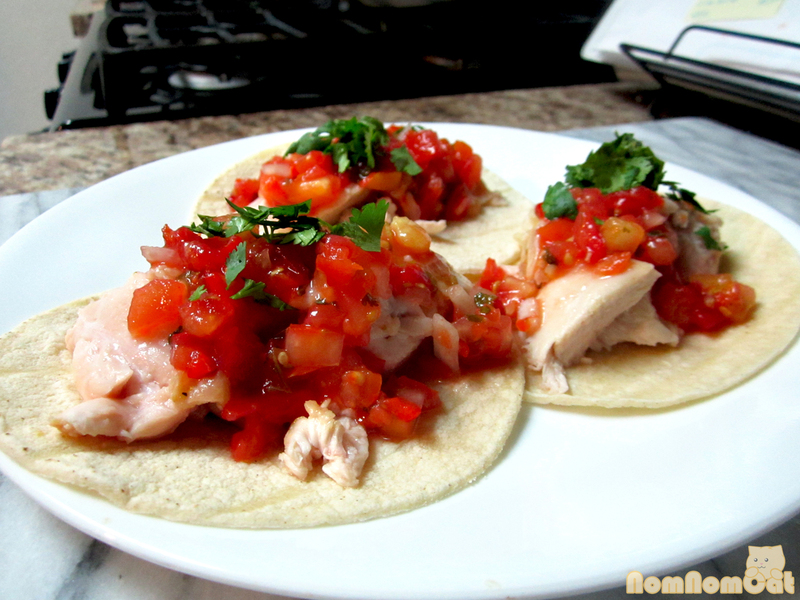 I liked using a bright, chunky pico de gallo for texture and flavor contrast. Though the weather has been gloomy here in LA, we’re not quite ready to let go of summer yet! Celebrate with one last summery hurrah by serving up these street-style tacos filled with juicy, flavorful tequila lime chicken. Or bookmark us for next summer’s barbecues – just remember to come back and let us know how it goes! We love having friends over for food and drinks and merriment, so a summer barbecue for Independence Day was inevitable. 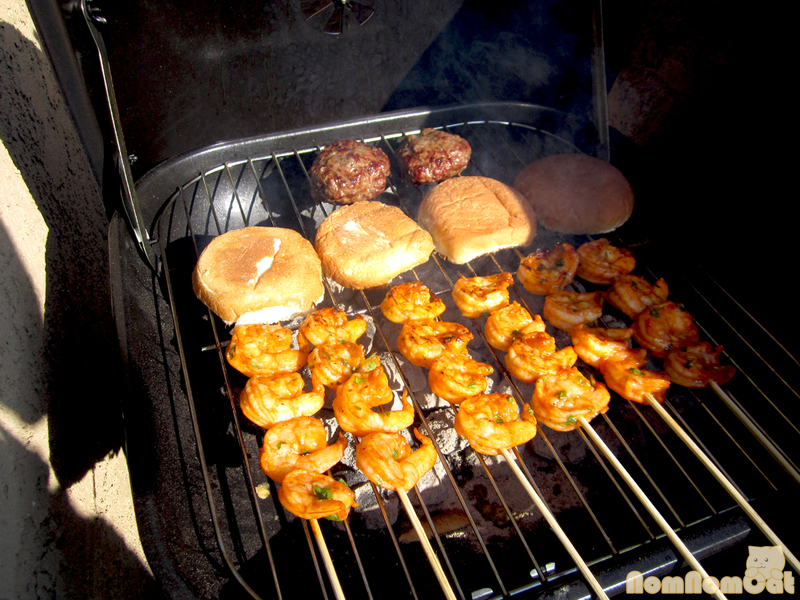 As we planned out our spread, we knew we wanted to serve up our copycat Father’s Office burgers, zesty tequila-lime chicken (recipe to come), and shrimp. Hm. 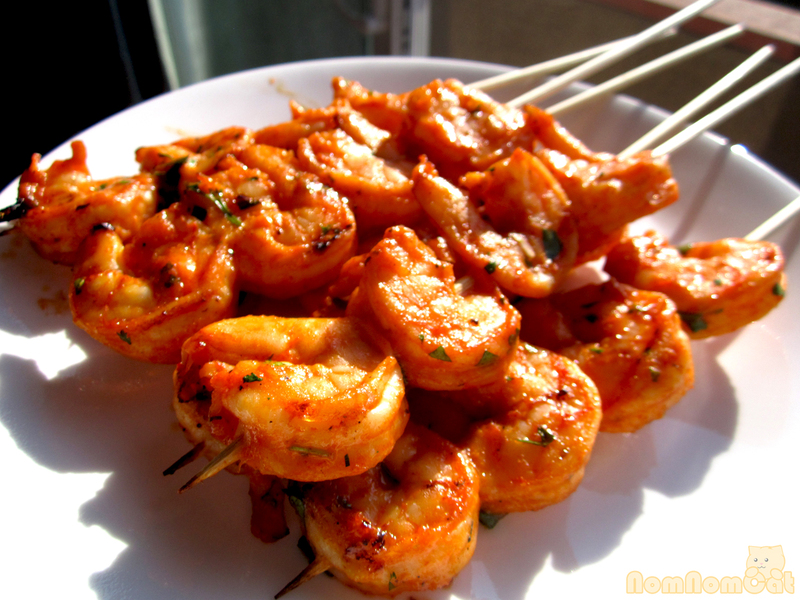 Shrimp. Our brains were riddled with question marks as to the marinade and the idea of “Oh, butter, lemon, and herbs will be fine… it’s a classic combination!” relentlessly gripped my train of thought. But with our other two fancified proteins on the menu, we wanted the shrimp to stand out too. Cue, sriracha. Sriracha. An Asian bottled hot sauce made popular here in the States by David Tran of Huy Fong Foods, sriracha has been a critical household ingredient in my family since before I was born. My parents always had a bottle sitting in the refrigerator, always the Huy Fong one with the rooster and the iconic green cap. Known in Vietnamese as tương ớt (or “pepper sauce”), I only ate sriracha with pho and occasionally to spice up other Asian dishes like fried rice or non-pho noodle soups. It wasn’t until I moved to LA for college that I even saw a bottle of sriracha anywhere other than an Asian restaurant. In fact, it was EVERYWHERE – the dining halls, the Mexican taco trucks, the “international” section of Ralphs. 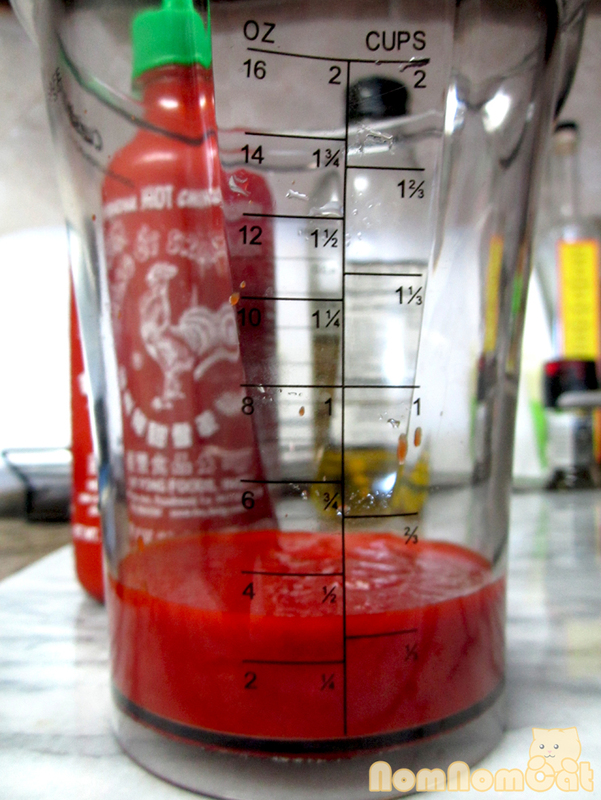 All of my friends, regardless of their ethnicity, slathered sriracha over everything. Have you ever tried sriracha in lieu of ketchup for dipping French fries? IT ROCKS. Huy Fong Foods sells out of every batch they produce and recently expanded their facilities from Rosemead (near where Martin grew up and would smell the scent of brewing peppers wafting through the neighboring streets) to a 23-acre factory in Irwindale… it warms my heart to see the success of a company with such humble beginnings (the family immigrated during the Vietnam War, just as my parents had). There’s even a sriracha documentary coming out soon; I’m expecting a Jiro Dreams of Sushi of the hot sauce world. But back to the barbecue. Fortunately, our friends at Foodbeast resurrected this awesome recipe from Helen at Food52, and we found it on our Facebook news feed not a moment too soon. It was a huge hit at the party and definitely a keeper for future cookouts. 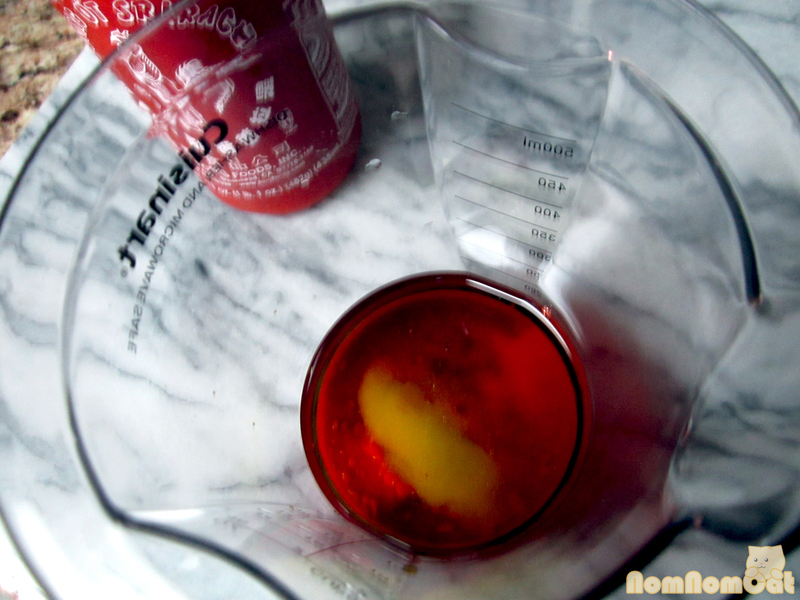 In small bowl (or measuring cup – I like to minimize dirty dishes), whisk together the first six ingredients, making sure to bruise the garlic pieces as you mix. 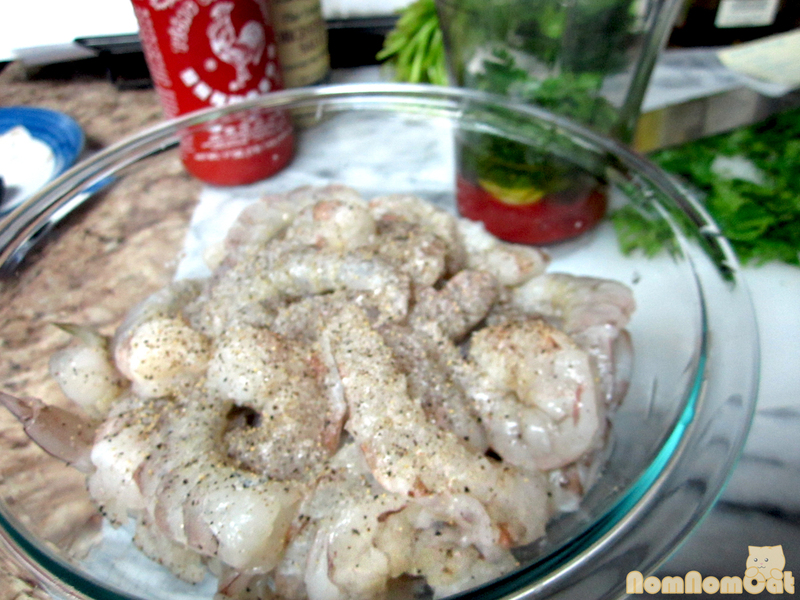 Let the marinade mixture sit while you work on the shrimp. 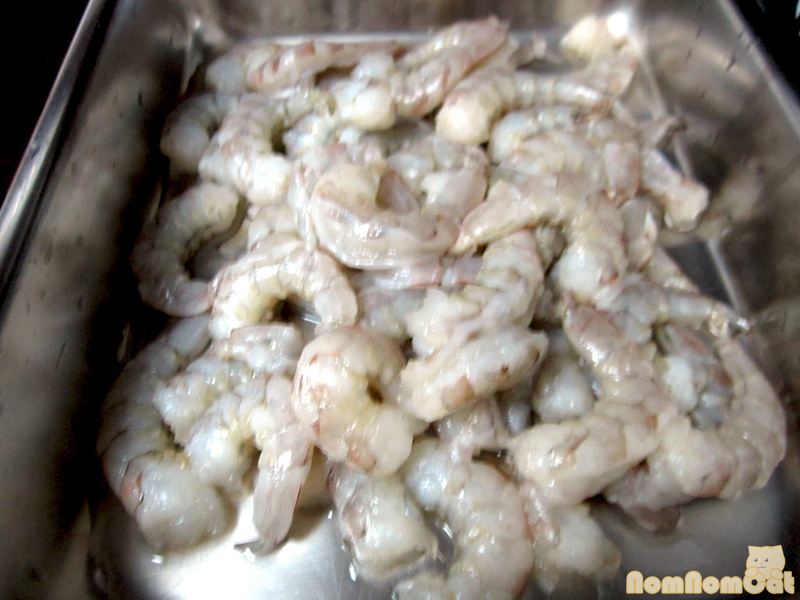 Clean the veins from the shrimp and peel them under cold water. Tails on or off – that’s up to you. I preferred them tail-off for ease of devouring these morsels whole. 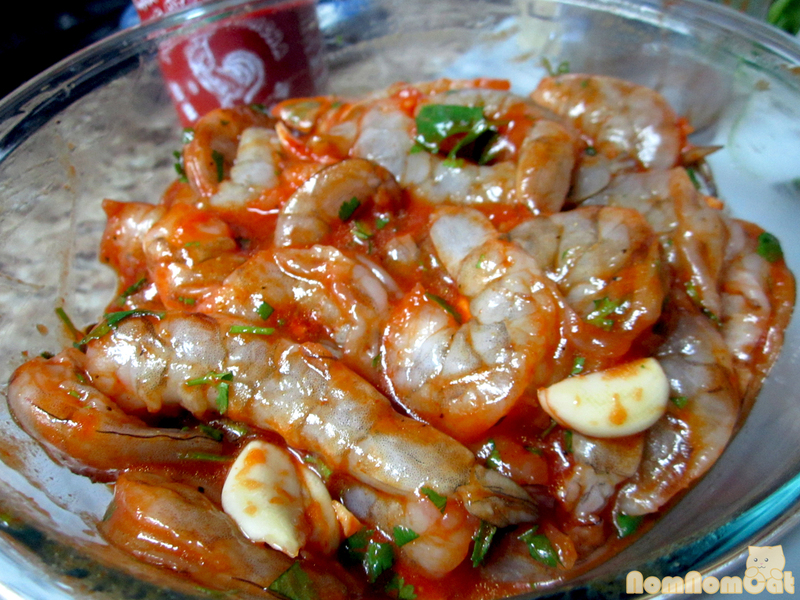 Transfer the shrimp to a medium glass bowl. Season generously with kosher salt (or garlic salt) and fresh cracked black pepper. Look at the stunning marinade! Pour the marinade over (scrape every last drop!) and mix well to combine. Cover and refrigerate for at least 2 hours. 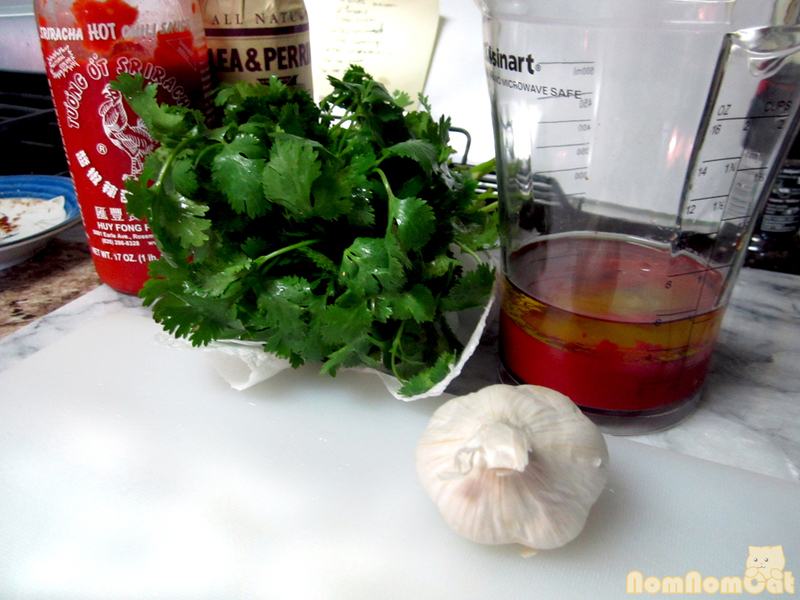 The marinade (i.e. 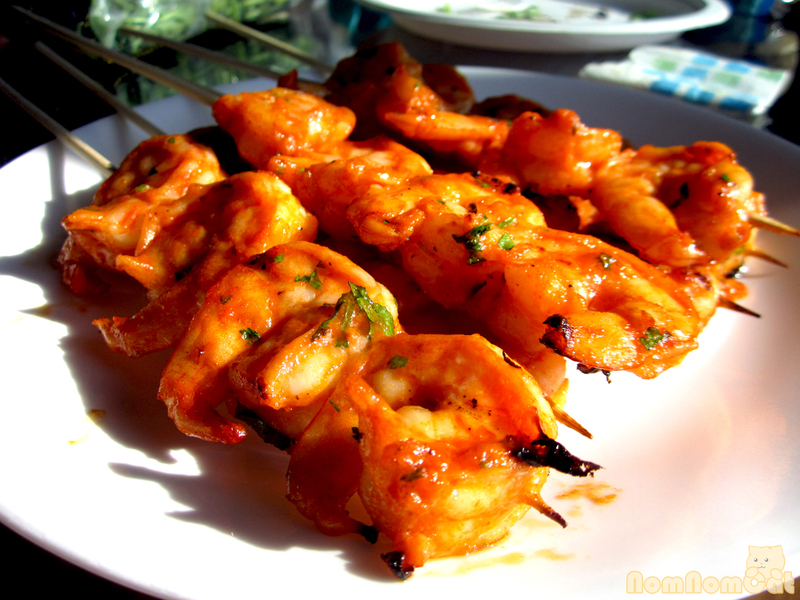 the flavor) clings well to the shrimp when it comes time to grilling, so it’s OK if you don’t quite have 2 hours to spare. You could almost hear the shrimp soaking in all that flavor! About an hour before grill time, soak some bamboo skewers in water; this keeps them from burning to a crisp over the hot coals. I set out a baking sheet on a counter I wasn’t using, spread out the skewers in a single layer, and then poured cold water over them. When it’s time, set up the grill and get it all nice and hot. 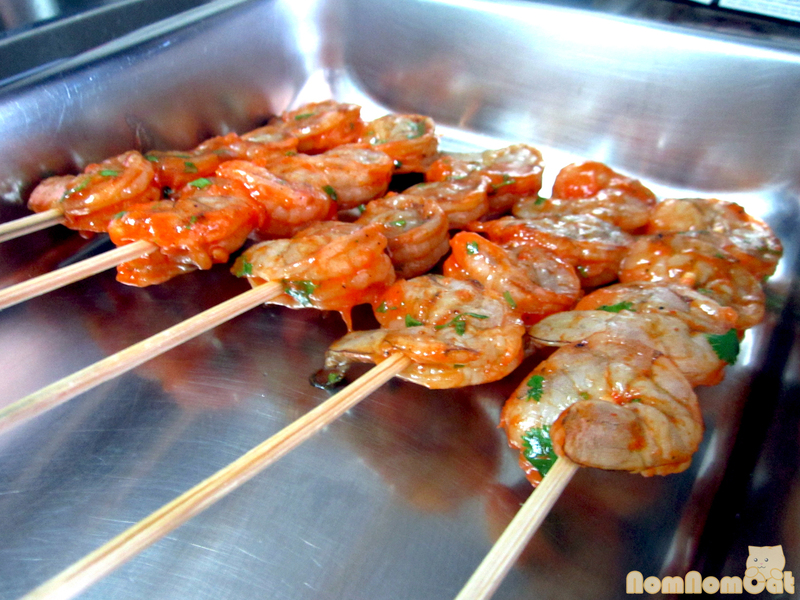 Meanwhile, thread the shrimp on the soaked skewers. We have a small grilling surface, so I did 4 per skewer. You may want to wear food-safe gloves… I didn’t and my slightly burning fingertips immediately regretted that decision. 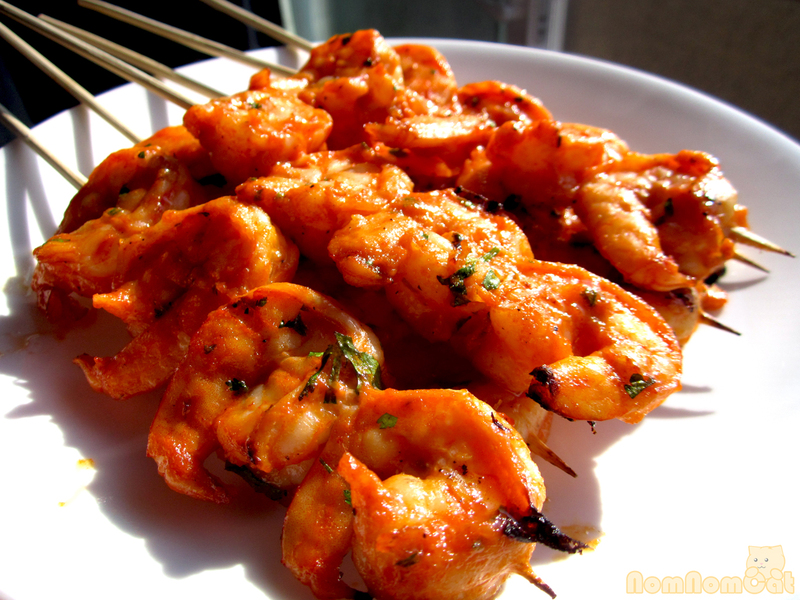 Shrimp are an excellent party food since they cook so quickly. 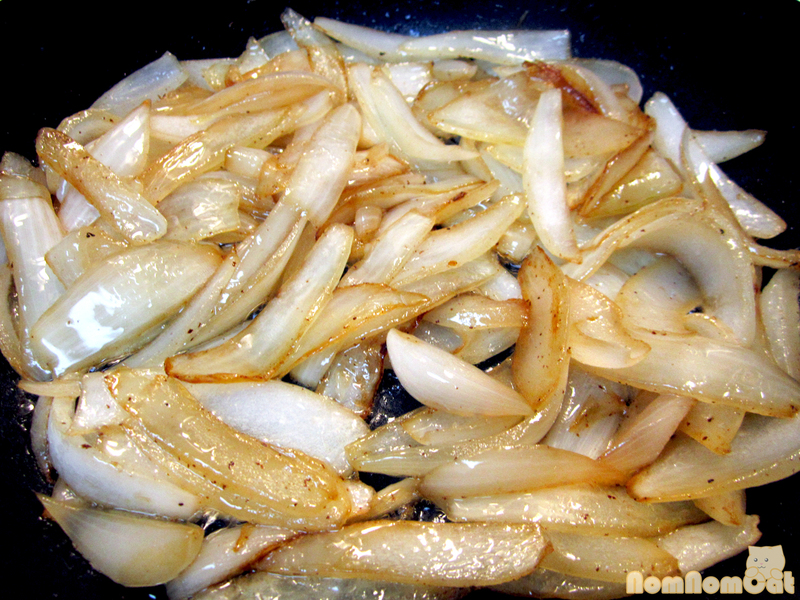 Just 2-3 minutes per side on a hot grill and they will be perfectly opaque and juicy. Serve them up and wait for the satisfying “yums” followed by the telltale “sss” as your guests’ varying levels of tolerance for spiciness are put to the test. Oh Father’s Office — an iconic LA hot spot with two popular locations: Helms Bakery District in Culver City and just off Montana Avenue in Santa Monica. With over 20 beers on tap ranging from local microbreweries to domestic brews to imported, this gastropub features some of Sang Yoon’s most well-known gourmet bar food creations – including the famed Office Burger. 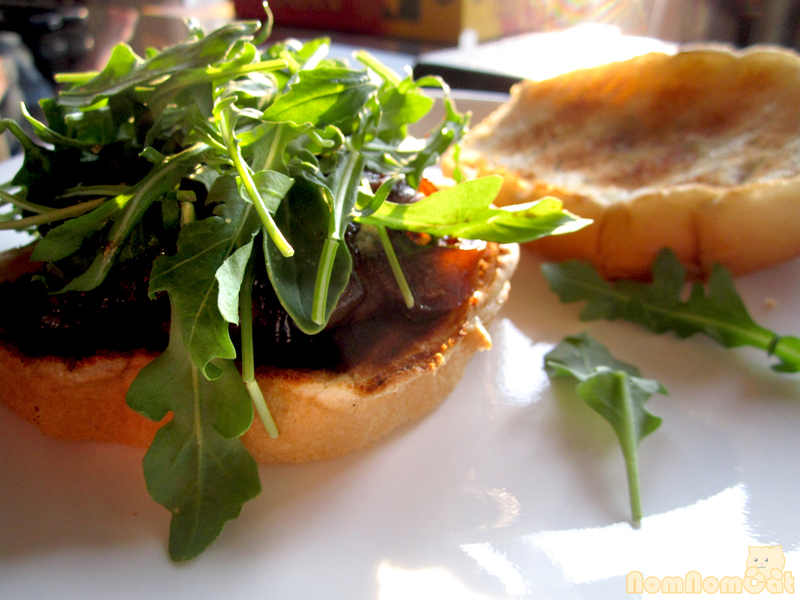 Quality ground beef, pungent blue cheese, sweet & sticky caramelized onion jam, and fresh spicy arugula on a French roll. With a strict no-substitutions policy (even, sadly, for the lactose-intolerant), the burger as the chef intended ranks on many lists as one of the best burgers in LA. We just purchased a grill for our balcony, and it was serendipitous that our first project was this restaurant copycat. As one of our friends put it, it’s the onion compote that really makes it. Surprisingly, the flavors were not too difficult to replicate, although it does take an awful lot of TLC. Martin was the grill-master so it was largely thanks to him that this burger was so darn tasty. All good things start with bacon. 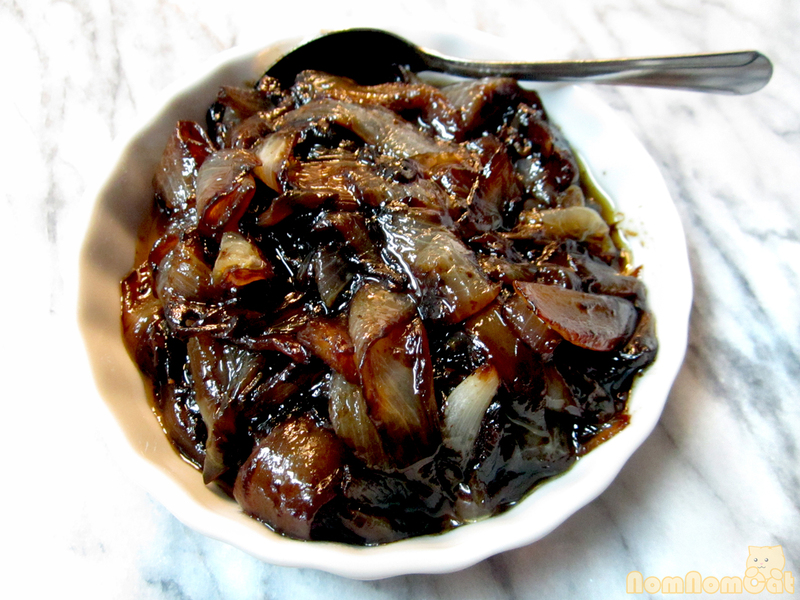 Well, not all, but this onion compote does. Heat a skillet on medium-high. 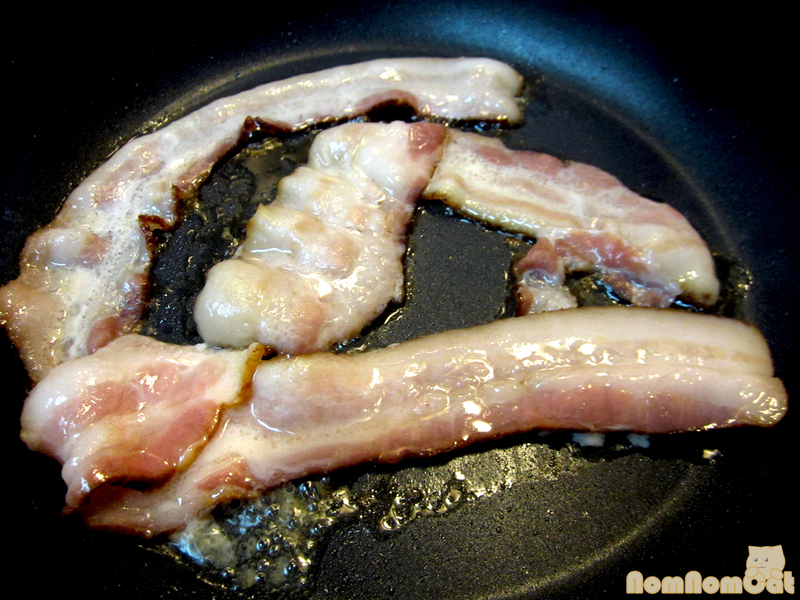 Cook the bacon for about 5-10 minutes on medium-high heat, letting the fat render. 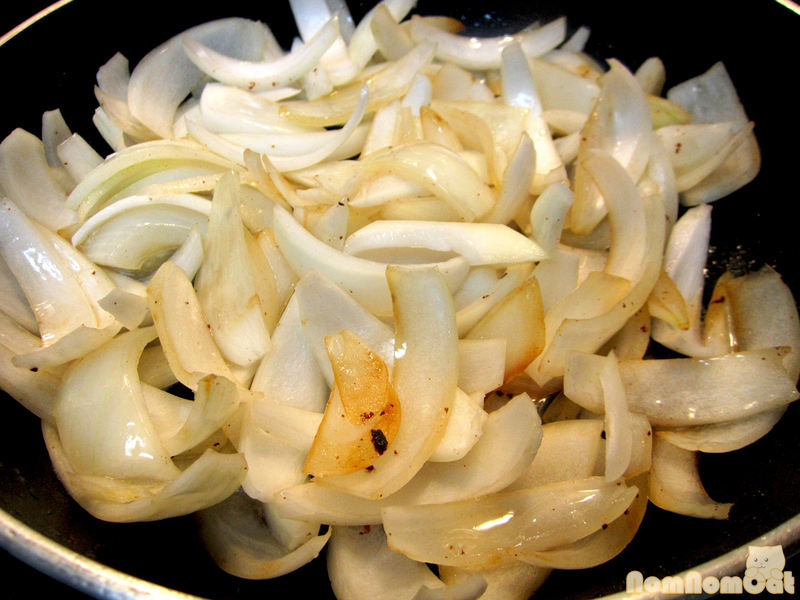 Meanwhile, cut the onions (the long way, from root to tip) into fairly even-sized pieces. Remove crispy bacon and set aside for snacking. 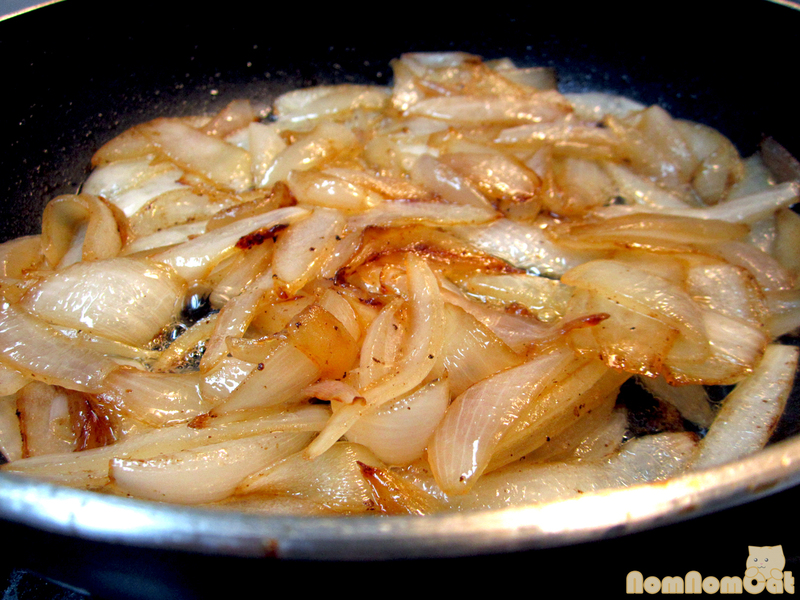 You should have a few tablespoons’ worth of bacon fat in the skillet. Add the 0nions. Sprinkle with salt. Stir to combine and let them start to sweat on medium / medium-high heat. 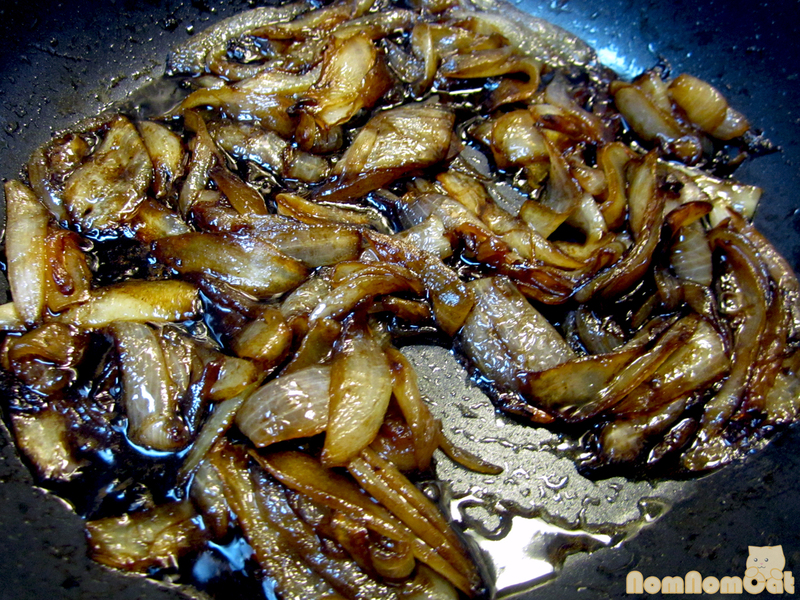 After about 5 minutes, sprinkle with sugar to help facilitate the caramelization process. 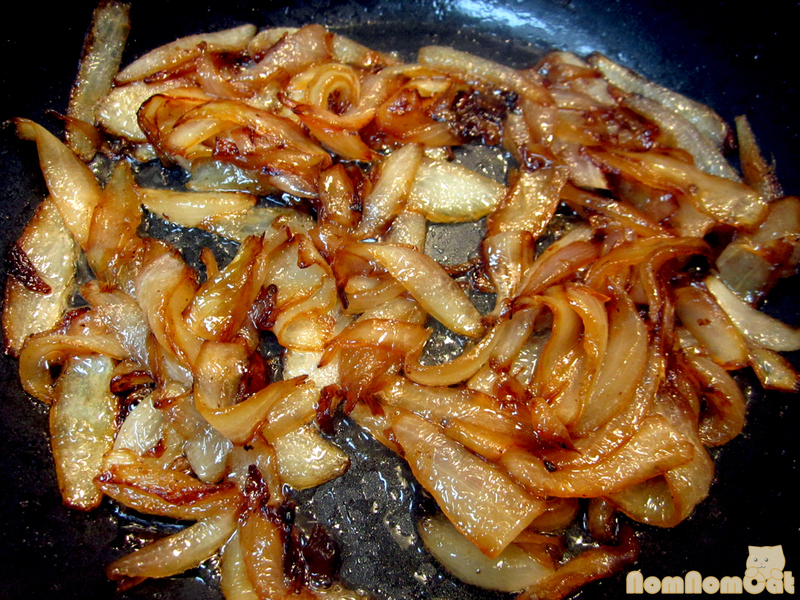 Let this go until the onions turn deep brown but not burnt. For the first 20 minutes or so, you will want to leave it alone and stir only every few minutes. If the edges start to darken too quickly, lower the heat. It was at this point that I realized the importance of cutting even pieces. The larger ones took longer to cook down than the little bits. It took me 20-30 minutes with gentle stirring every 5 minutes until the last 10 minutes or so when I needed to stir every minute. This is about when you will need to pay close attention to the onions. They can easily scorch at this point and all of your hard work would be for naught. Look at that gorgeous sight! 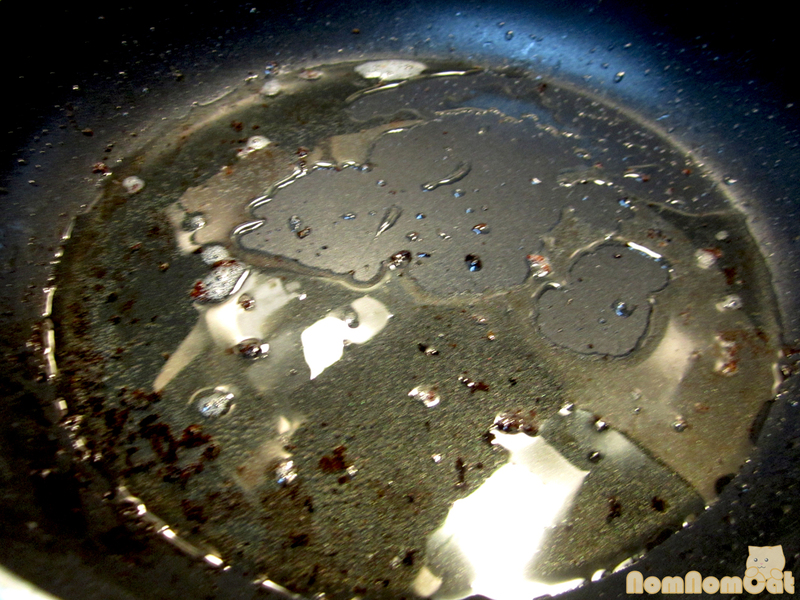 When just about all of the pieces have passed the translucent stage and browned beautifully, add the liquids, using the balsamic vinegar to deglaze the pan. Continue cooking for about 5 minutes, letting the acidity burn off. Set aside. This will yield enough topping for about 4-5 burgers. NomNomCat Tip: I was able to accomplish this in my IKEA nonstick skillet. Don’t let the naysayers tell you that you have to go out and purchase a stainless steel or All-Clad just to get some good browning action (although a quality pan is definitely a great asset to the kitchen!). * I used 80-20 packaged ground beef from Trader Joe’s, but if you have a meat grinder, I’ve heard that the best blend is a 50-50 mix of dry-aged rib-eye and ground chuck. Buns! Don’t forget the buns. 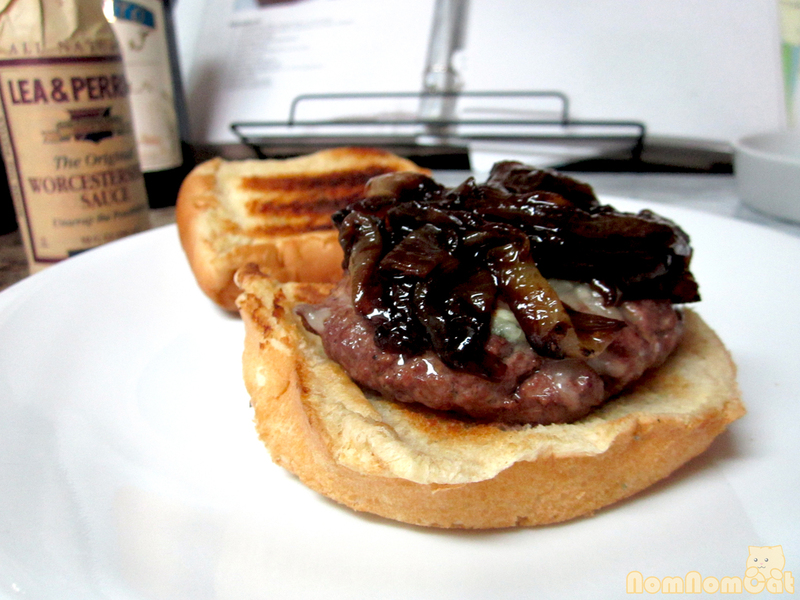 The first time we made it, we used regular white burger buns. To really recreate the Father’s Office experience, you’re going to want to track down some French demi-baguettes. Season the ground beef and mix well to combine. Form consistent patties for even cooking times. 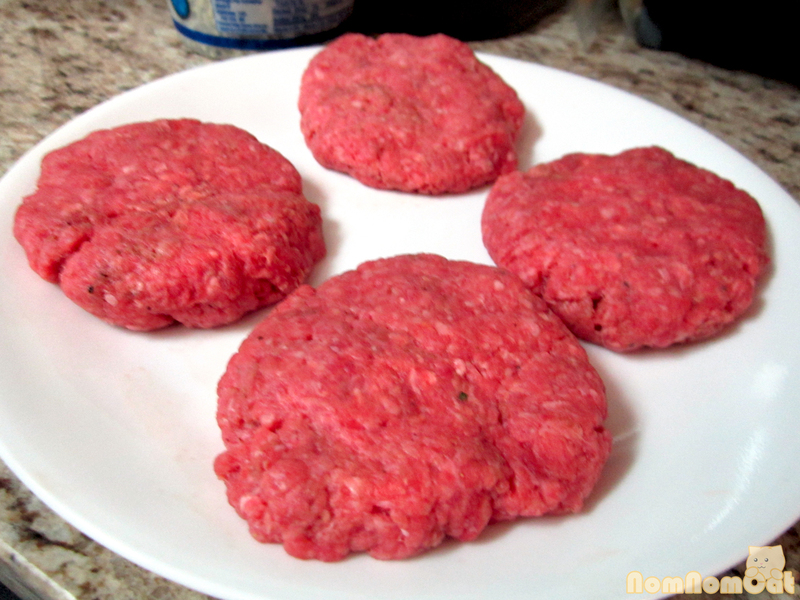 I like thick patties since I prefer my burgers rare, but you can flatten them for quicker cooking. Get the grill nice and hot. Cook one side and get a good sear. A medium-rare patty will take about 5 minutes per side. Flip once. 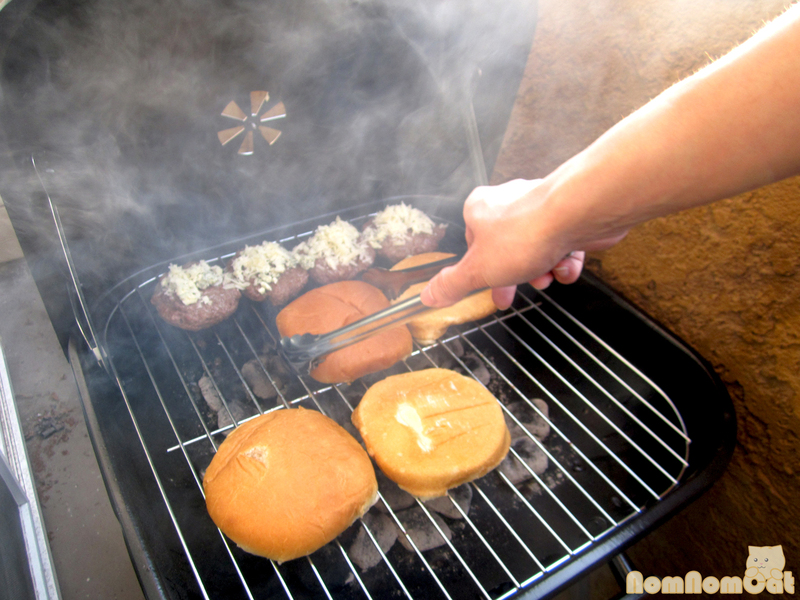 Sprinkle on a small spoonful of each cheese on the seared side of the patties. Toast the buns. Serve the patties cheese-side-up. Top with a generous dollop (or two!) 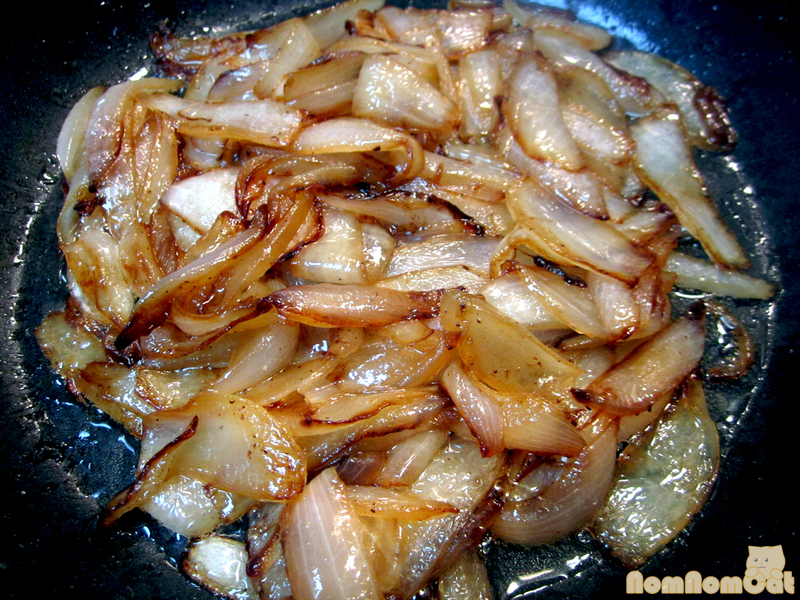 of the onion compote. The saucy goodness packs a punch of flavor! 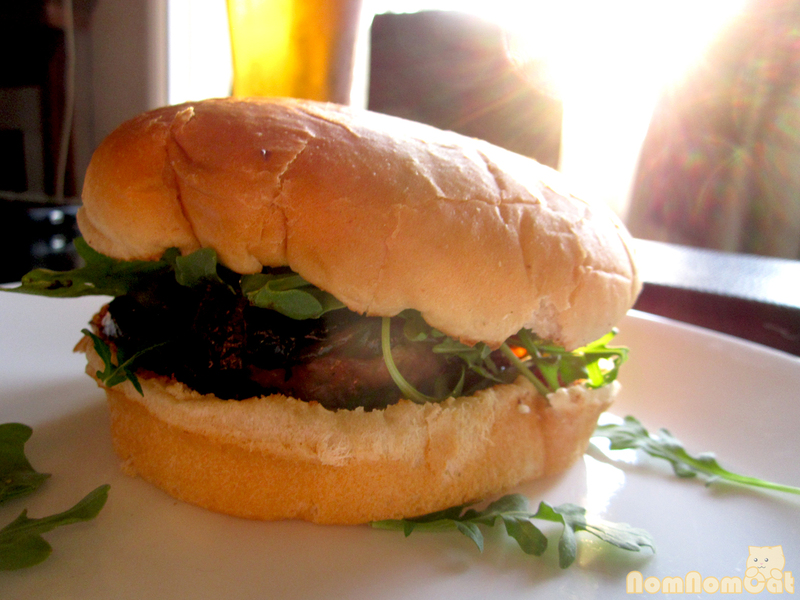 A handful of arugula and this burger is ready to sit alongside an ice cold glass of beer, just like an Office Burger would. Dig in and make sure you get a taste of everything in each bite! Not gonna lie, I was pretty darn impressed, even with the boring ol’ white bread buns. We are definitely going to be making this party favorite more often now that it’s the perfect weather for grilling. But first… the search for the perfect roll/baguette/bun continues. I’m thinking a Brioche or French roll brushed with melted butter before being tossed on the grill. This homegrown version isn’t going to put the father of the gastropub out of business any time soon, but it is a great dressed-to-impress recipe for your next summer barbecue! If you try it, let us know how it goes — pictures or it didn’t happen!